Facebook, Microsoft, Snapchat, Yahoo, and Google all started on college campuses. Garages have been replaced by dorm rooms. Universities offer accelerators, advisers, and investors that empower founders more than ever before. 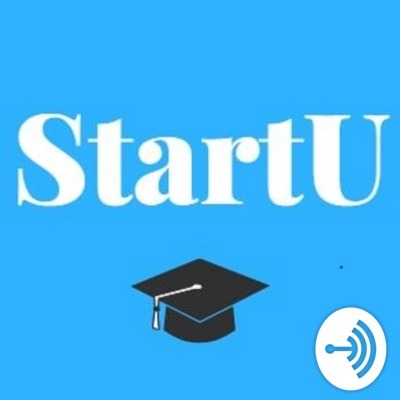 StartU brings you stories of the most promising campus-founded startups across the nation. Each episode we interview a different founder and hear how they blended education with entrepreneurship. After graduating from Harvard Business School, Leslie Voorhees and Calley Means were planning their wedding when obscene markups and non-transparent processes compelled Leslie to design and manufacture her own wedding dress. After swarms of her friends started asking her to do the same for them, the couple new they were onto something; Anomalie was born. With over 1 million in sales in their first year of operation, Anomalie is shaking up the wedding dress industry. Calley Means describes Anomalie's story - and what it's like to start a company with your wife. At the start of the fall semester in 2015, Wharton classmates Kabeer Chopra and Stephen Kuhl were trying to come up with business idea for their entrepreneurship class. After failing to settle on anything, the two went for a drink and began to lament the high cost and painful moving process of sofas they had each bought for their new apartments. Suddenly their business idea was clear, Burrow was born. After getting rejected by nearly every grant and competition on campus (not to mention their entrepreneurship classmates) Burrow has grown into a VC-backed, multi-million dollar company. Now in their second year of full operations, Burrow shows no signs of slowing down. Meghan McCormick spent two years in the Peace Corps working to build out an accelerator program for African business owners. But when funds dried up and the accelerator was at risk of shutting down, she had to launch her own business to keep the program afloat. OZÉ is a mobile business insights engine built for the African business owner; tracking money coming in, leaving, and updating users on the health of their business all in real-time. What started as way to sustain her accelerator has grown into a standalone business and McCormick's full-time focus. Now, with the resources of MIT and Harvard behind her, she aims to scale OZÉ across Africa and the broader developing world. After coming back from a tour in Iraq, Chris Molaro witnessed firsthand how mental health treatment in the U.S. often results in poor quality of life and unnecessary financial costs, for Veterans and civilians alike. ​ The need for an objective, quantitative platform to empower providers and their patients was clear. After enrolling at Wharton and building a team of experts in neuroscience, physiology, and behavioral health, NeuroFlow was born.